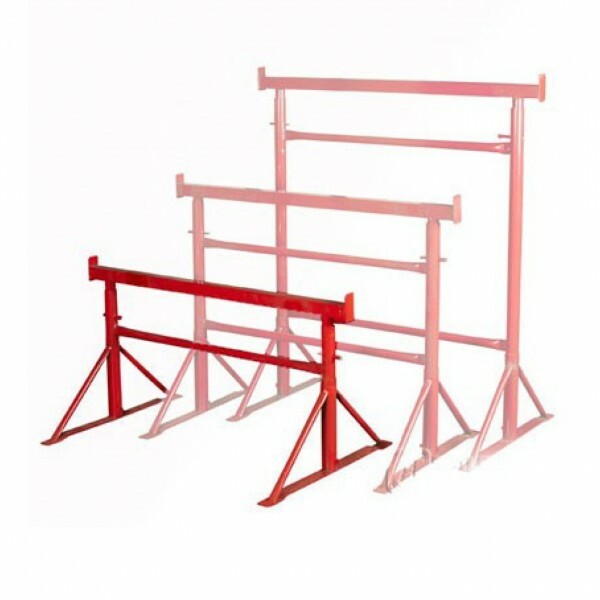 Adjustable Steel Trestles or Bandstands are available in three different sizes and wide enough to take four standard scaffold boards or lightweight stagings, to create a safe working platform for bricklayers, plasterers and painters. Size 1 Builders Trestles have and have an adjustment range from 0.51m to 0.71m. Builders Trestles are all fully & independently tested to the relevant standard with certification available upon request, the standard finish is a high quality powders coated dark red for long lasting corrosion protection. For technical support, Call or Email.